Lean Thinking: Why Do ‘Smart’ People Struggle with Strategy? Why Do ‘Smart’ People Struggle with Strategy? I’ve been coaching senior executives for more than a decade now. But you know what? The smarter they are, the more they struggle with strategy! Strange, no? Here’s a critical leadership skill for which excessive smartness can be a liability! What’s going on? Well, most of these folks have gotten to where they are by having the right answer, and by proving thereby, that they’re the proverbial ‘smartest people in the room’. But in strategy, there is no right answer. In any complex industry or field of endeavour, there are too many variables, too many unknowns. 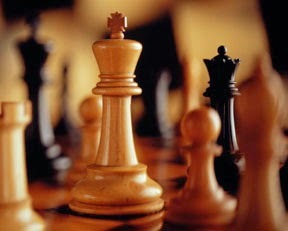 In chess, arguably our greatest strategy game, the number of potential positions exceeds the number atoms in the universe. In summary, in strategy there is no right answer. There is only a right process. More in the blogs to come. I wonder if this behavior of finding the "answer" is driven by our education as children. We are presented with problems and then asked to find the right "answer". As we transform into adults we learn the real world is complex, full of uncertainty and ambiguity, and that the "answer" is not as easy as selecting A, B, C, D, or all of the above. Paraphrasing from Edward Hodnett in "The Art of Problem Solving": Except for math, there are no answers, only solutions. So jm maybe that's the competitive spirit drilled into us from an early stage - age 5. We can see this in TRUMP as he pushes his answers forward with speed like a typical North American / Western manager / CEO. Pascal's job (like Deming's) is to convert us to PDCA et al. Thank you for all this and hi again Pascal. I follow your posts for sure. For this subject I like to use Hoshin//Policy Management. I have a lot of writing on my blog, since 2009 !! at https://a3-hoshin-tps-leanblog.blogspot.ca/ Best wishes and looking forward to more. Well said, JM. Behavior is indeed deeply rooted, which makes it especially troublesome. We literally cannot see it. Mike, great to hear from you & trust all's well!